- In a large bowl mix the semolina and the flour then add the butter and the oil, mix all together until you have a cookies dough. - Cover and let it rest at least 2 hours or overnight. - To the dough add the yeast, baking soda, sweet condensed milk and the rose water, knead to all well combined. 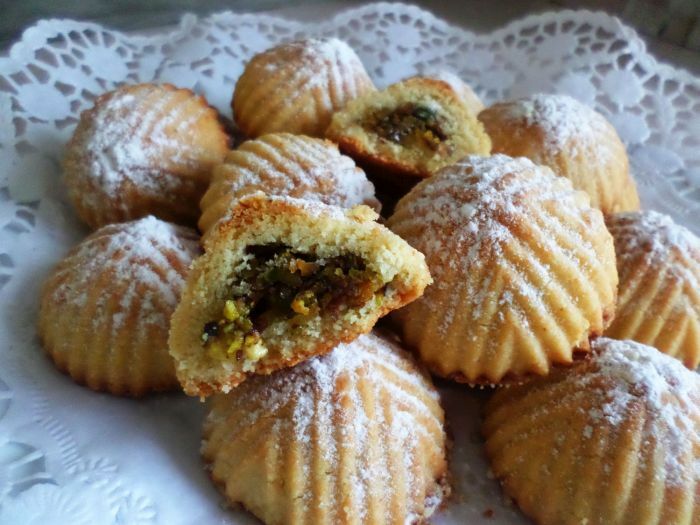 - To prepare the filling: to the crushed pistachio add the sugar syrup and the rose water mix together. - Take a small ball from the dough make with your finger small hole, add 1 tbsp of the filling then close the ball firmly and place it in a cookie mold or ma'amol mold ( i bought it from a chinese store ) then, flip it upside down and click the edge of the cookie mold to let the piece to get out . - Place the cookies on an oven tray. - Bake it in a preheated oven 220°C for 10 to 15 mins until golden color. 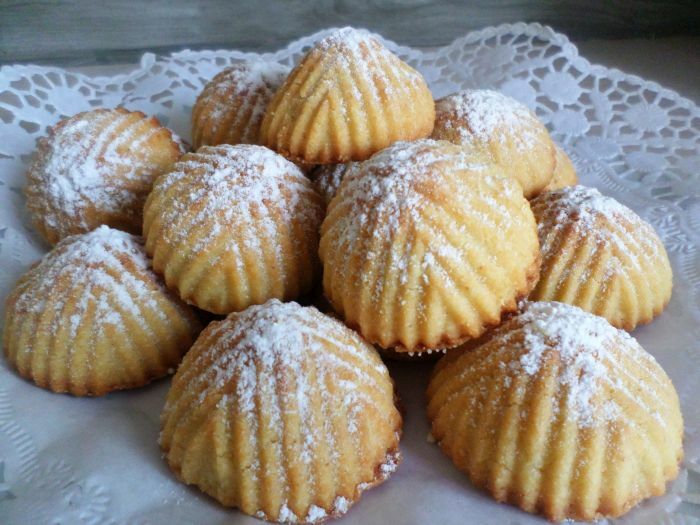 - Sprinkle the powdered sugar immediately above the cookies when out of the oven.